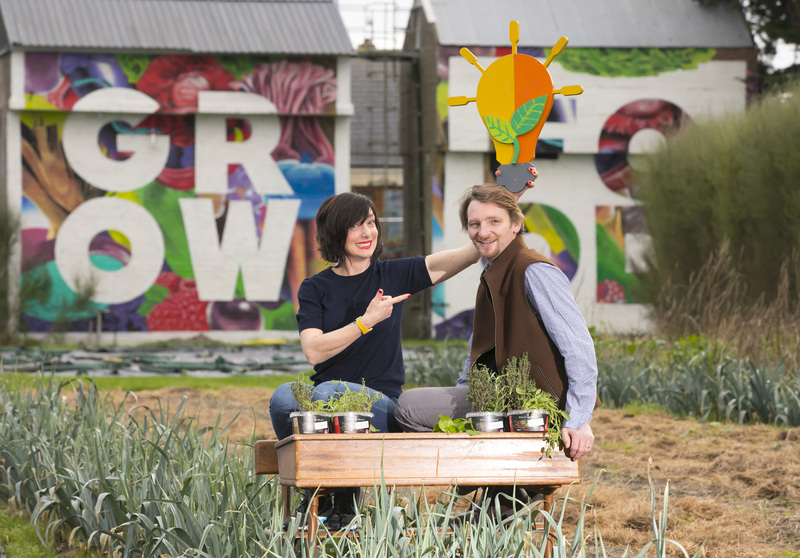 Registration is now open for GROW2CEO – a unique competition to find Irelands’ next young food entrepreneurs. GROW2CEO is a collaboration between Cully & Sully and GIY. The campaign was launched today in Cork by food entrepreneur Cullen Allen from Cully & Sully and Mick Kelly founder of GIY. The growing kits will be delivered to all schools that register to take part and the competition and challenge will commence on 4th March. The ‘GROW 2 CEO’ grand final will take place on the 15thMay 2019, where a panel of judges will taste test the student’s products and review the business model and plans of the shortlisted finalists. The winning students will be awarded a prize pot of €5,000 which includes a €3,000 food garden for their school, champion hoodies for the winning class and the winning teacher will receive an overnight trip to Ballymaloe. The 7 students of first and second-year from Colaiste Ghobnait on Inisheer Island were crowned Grow to CEO 2018 champions. The winning team out of over 7,000 student entries by a panel of judges which included Cully, Sully, Michael Kelly from GIY and special guest judge, wellness and food author Rozanna Purcell. The secondary school winners created a Rugged Rocket Soup, Wild Atlantic Soda Bread and Aran Goat’s Cheese recipes and dishes.